Original Shimano product , new, and in original packaging. I prefer to use pins rather than links. Happy with this purchase. Keep these around! As I change up my bike, I need these. Just increased my cassette to 30 teeth on my gravel bike. Gotta have chain pins! 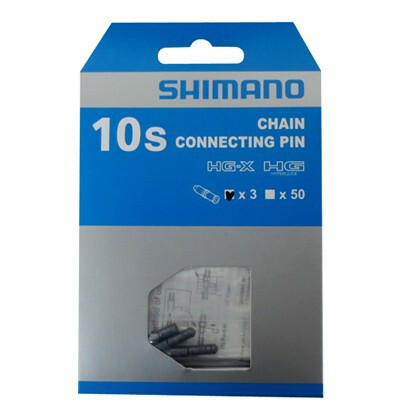 I only use Shimano chains with the pressed in link pins. The chain cannot be removed and replaced with the a link pins unless you remove and install a short section of new chain. A new pin should never be installed in a link that previously have the link pin. I prefer the pins to a master link. I normally do not remove a chain until it is worn out unless I make a cassette or derailleur modification . I have never had a chain failure with the Shimano chains. Easy to install. No problems with chain since. Link strong and has held up to some steep climbs.